I used to be able to finish one to two books a day. Nowadays due to work and other responsibilities I’m not able to read as much as I would love to. So when I saw this book at the library, I just picked it up thinking it would be something different to what I usually go for. I had no idea who the author was, I just skimmed through the blurb and contemplated whether I really would be able to get into a typical dry love story like this. 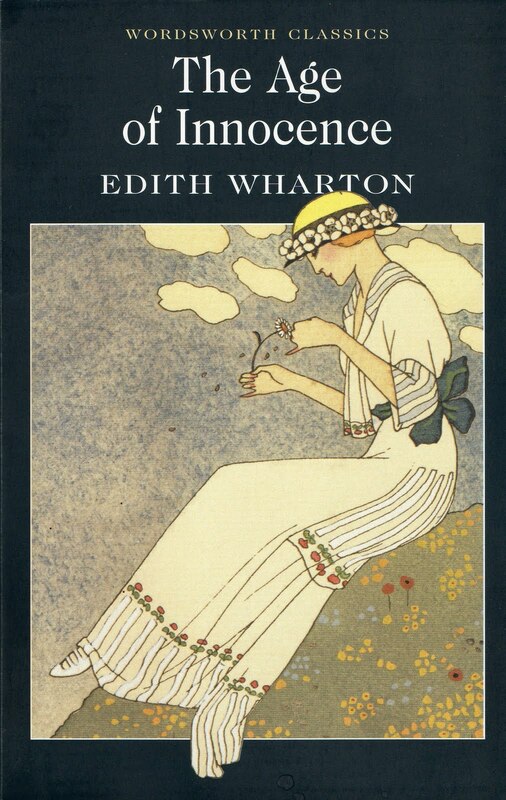 The Age of Innocence by Edith Wharton is not your typical love triangle, so you will not enjoy it if you’re expecting a cute, happy story. I was pleasantly surprised and right from the onset I became engrossed, I just couldn’t put the book down. Based in upper-class New York City in the 1870s, in a society where people “dreaded scandal more than disease.” In ways still relevant and relatable today. Before I go on, I have to mention that reading about New York City reminded me of Gossip Girl, it used to be my favourite show and this book was actually mentioned in the show. Back to the story, we are introduced into Newland Archer’s world, who is seemingly happily engaged to the traditional May Welland. But his world soon turns upside down, when the mysterious Countess Ellen Olenska (who is also May’s cousin) returns back to New York from Europe, after a unhappy marriage. Ellen is complete opposite to May; unconventional and emotional and Archer falls deeply in love with her. Yearning for the freedom to be with her makes him question the society they live in. Ultimately Archer has to make a decision that will fulfil his life or destroy it. I have to applaud Wharton’s writing; she has perfectly portrayed Archer’s inner turmoil and struggles between his desire to be with Countess Ellen Olenska, which he can only dream of and his duty towards his wife. I actually began to empathise with his character, in some parts actively hoping/wishing he would leave May and go to Ellen. It made me think about the society we live in, where if there was someone stuck in the same position as Archer today; I don’t think he/she would think twice or make the sacrifice at all – he/she would leave the person and be with the one they love. I guess times have changed a lot! During the course of reading the book, I discovered there was a film adaptation of the book made in 1993, starring Daniel Day-Lewis, Michelle Pfeiffer and Winona Ryder. I don’t know why I didn’t just google it at the beginning but good thing I didn’t, it is always best to read the book first. So I still need to watch it, which should be great! This book had pretty much taken over my life for the last month, so finding another book just as good as this will not be easy. Overall, I really enjoyed reading The Age of Innocence, Wharton’s writing kept me gripped and interested all the way through. I would recommend anyone to give it a try and you’ll be surprised like I was.